Telus will no longer sell satellite TV to new customers, but will continue to fully support existing satellite customers, the carrier has confirmed. The change affects customers in Alberta and British Columbia, where the carrier also offers Optik TV and Pik TV services across its home internet footprint. The carrier reports that its agreement with Bell to sell satellite TV service expired on March 31st, 2018, which necessitated that Telus stop selling satellite TV services. “There is no impact to existing STV [satellite TV] customers, who will remain fully supported,” assured Telus in a statement. 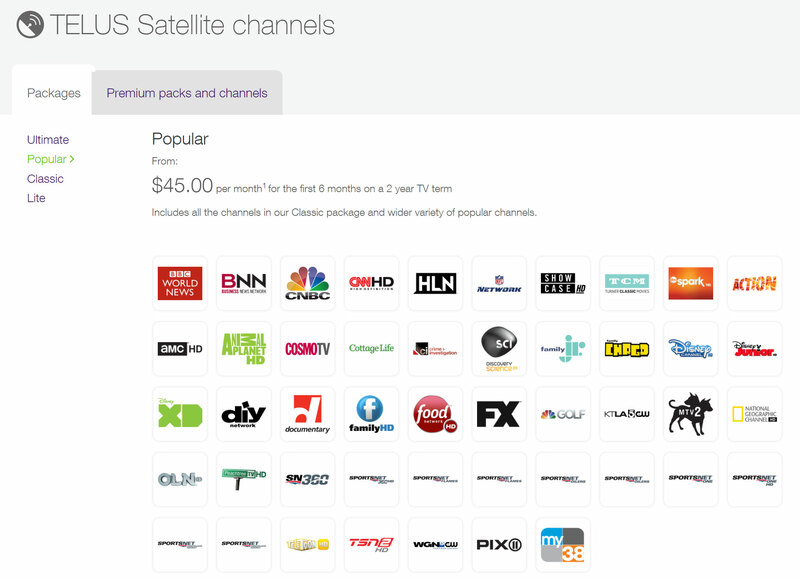 Telus and Bell initially reached a deal to resell a repackaged version of Bell satellite TV service as ‘Telus Satellite TV’ in parts of Alberta and British Columbia where it was unable to offers its IPTV services. The deal gave Telus the ability to fight back against Shaw Communications’ cable offerings in western Canada.